It is an honor to serve on this state wide Florida Engineering Society Energy subcommittee and I appreciate the warm welcome from chairmen Don Voigt. 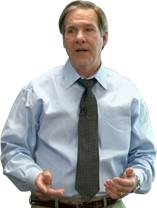 I have reviewed the various documents that were sent to me and offer my “passion for energy” thoughts. Cogeneration should be used more often, natural gas use should be expanded to all homes where available, solar water heating is very cost effective, Florida needs to improve in energy efficiency, and Florida needs to reduce its carbon footprint. I am an advocate for cogeneration (combined heat and power) and have designed and constructed many units across the United States and the world including the 40 MW University of Florida “Gator Power” unit where I served as project manager and on site project engineer. Cogeneration at 70% to 85% efficiency is far better than a 35% central unit coal plant. Conserve energy with natural gas and start saving even sooner! 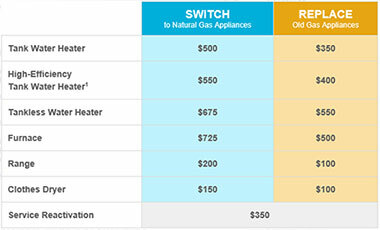 Upgrade your home with natural gas appliances and get up to the following rebates when you include a natural gas water heater, natural gas range/stove, clothes dryer and furnace. What is the cost of heating water? Calculate the energy required to heat a quantity of water. Calculate the cost of that quantity of energy. Adjust calculations for variables. Rework the above problem and heat the water with natural gas. Now what is the cost? Use the same BTU/day calculated above. Calculate the cost of that quantity of energy. Adjust calculations for variables. Rework the above problem and heat the water with solar energy. Now what is the cost? The American Council for an Energy Efficient Economy (ACEEE) has been calculating a national scorecard for ten years now and Florida ranks #25 when compared to other states across six policy areas. The following is a portion of the summary table from the Executive Summary of the 175 page report. As you can see from table ES1 Florida falls short in all six categories. The most glaring to me is the utility & public benefits programs & policies where Florida scored a 1 on a 20 point scale. It shows that government and utilities are not very interested in energy efficiency. I am also disappointed in the score of 1 on a 4 point scale in the category of combined heat & power. I think there are great opportunities for cogeneration at shopping malls all across the state. They are large consumers of electricity for air conditioning during the peak daylight hours. Install a 5, 10, or 15 MW natural gas fired combustion turbine coupled to an electric generator. Use the exhaust heat to produce low pressure steam to drive absorption chillers. In this way the energy consuming mall becomes electricity producing distributed resource back feeding the distribution system in an area that could use extra resources. In January 2017 the U.S. Energy Information Administration which is a subset of The United States Department of Energy published “Energy-Related Carbon Dioxide Emissions at the State Level, 2000 – 2014. Florida is the #6 emitter of carbon dioxide at 228.2 million metric tons per year which represents 4.2% of the US total emissions of 5,405. The two largest contributors to the 228.2 total are electric power at 109 MT or 47.8% of the total and transportation at 101 MT or 44.4% of the total. The following Figure 1 is copied from that January 2017 report and shows Florida’s position relative to other states.